Service and Maintenance Office and Cash Handling Machines requires competent and immediate attention to prevent inconveniences to the customer. 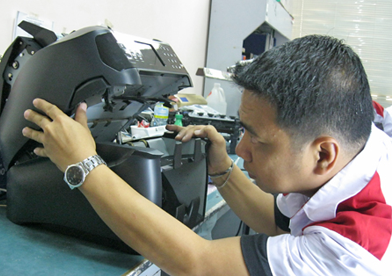 Solid Business Machines Center Incorporated provides maintenance services that aim to meet the demand of our valued customer. SBMCI Service Department's main concern is to protect the welfare of our customer's precious investments, by keeping the acquired equipment in good working condition throughout the entire life span. In the event of breakdown, customer ensures prompt action from our Service Staff to address any technical inquiries and the deployment of well trained and experienced technical people for on site troubleshooting. Spare Parts During the regular maintenance / operation of the equipment, malfunction or sudden breakdown are the events that cannot be avoided, in these cases, SBMCI assures the customer our prompt actions to carry out the services. Spare parts supplies are originally taken from the manufacturer / supplier based on their recommendations for durability and high performance operations. All parts are ready in our storage room to ensure the availability at all times during the breakdown. 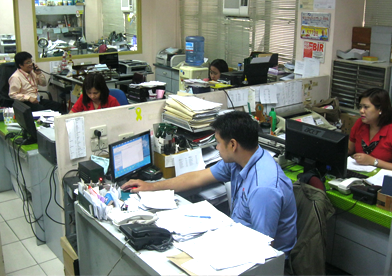 Accredited Provincial Service For provincial services, SBMCI provides reliable partner to provide nationwide technical support to Visayas and Mindanao areas.